Much ado about “little gods”. Satan’s playbook includes trying to goad men into believing they can ascend to godhood. Right there in the garden of eden, he told Adam and Eve that they could be “as gods” by eating the forbidden fruit. This same temptation has been continuously used throughout history as Satan appeals to the “pride of life” that is resident in the fallen nature (or the flesh) of every son of Adam. Having covered the danger’s of falling into the trap of believing we can be gods ourselves, let’s see what the one true living God has to say about us legitimately exercising the power He has delegated to us. The best way I can simplify this to a point that I can understand it myself is to look at a simplified model of authority in the military. Basically, a unit commander has full authority over everything that happens in his unit. The commander has delegated certain authorities that pertain to administration and management to several supervisors at various levels within the unit. These supervisor can only legally act with the authority they have been delegated. The “power” they wield is not theirs, it is the commander’s. Also, just because they can exercise some of the (delegated) authority of the commander, that doesn’t make them the commander. Also, it is possible they can abuse this authority and have the authority taken away from them. 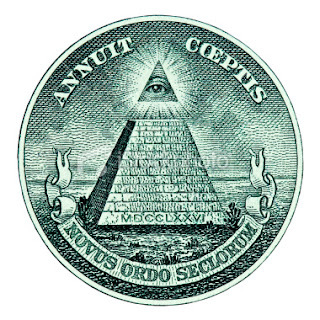 We are not God and we do not become gods. We become adopted children, grafted into the family of God through Jesus. Similar to if our family adopted a child… That child would be loved and cared for as a member of the family, share in inheritance, and perhaps could even take on our surname. However, the adopted child would still not be a genetic family member, even though treated as such in every way. Give expecting nothing in return, but considering nothing as lost. when you start praying for someone, they suddenly start acting worse. this is not because your prayer isn’t working, it is because it is working — God is dealing with that person and they are acting worse because they are resisting God. 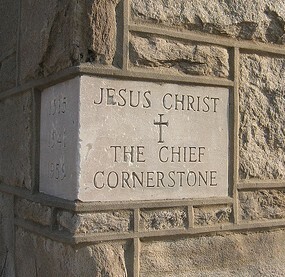 The corner stone sets the standard for direction is what all other stones measured from and aligned to. What is the agenda to corrupt the bible? Author ShapedByTruthPosted on February 8, 2016 May 3, 2017 Categories UncategorizedLeave a comment on corner stone or capstone? Like Joseph we should flee temptation. All too often folks stop at the semi-colon and don’t continue on. If you stop at the “ye are able” you are left with the idea that you have the ability to resist temptation by yourself. Continuing on, we find that we are only able to bear (or resist) temptation by using the escape route that GOD provides. All too often we are told to resist temptation and flee from the devil. It is the other way around, we should flee from temptation, but resist the devil — when we resist the devil it is he that will flee.